Candor Arts is thrilled to announce the release of narrow distances, a book of photographs by Brooklyn-based visual artist Ka-Man Tse. This monograph is due to release in July of 2018. My image-making begins from that tension between longing and belonging, place and placelessness. In narrow distances I am asking questions of home, identity, community, and subject-hood. What does it mean to look, who has the right to look, what does it mean to be seen? My photographs address a desire to negotiate multiple and diasporic identities and are made within the intersection of Asian and Pacific Islander (API) and LGBTQ communities, and made through a queer lens. The photographs aim to establish a sense of possibility in the context of a contingent, post-colonial, pre-2047 Hong Kong in constant flux and transition. The book opens with images from the decommissioned airport, Kai Tak, and from those pictures, emerge the portraits. Possibilities start with small gestures, clear or coded. The project places the protagonists within and against the landscape. The portraits center those who are often marginalized and invisibilized, taking care of Hong Kong, each other and their own communities they have built, occupying and queering space, time, and gesture. In the contested and contingent spaces in the home, in the public realm, occupying a space and a conversation is an act. My images take place in this potentiality of the in-between and the everyday. They are made out of a need to occupy the landscape, space, and frame; to establish a sense of personal space and agency where it is often contested and eroded, even within the spaces of the in-between, and of contingency, subtraction and redevelopment, a city is in transition; a body and one’s identity is in transition. Who can claim ownership, who can love or belong; who retains a memory, what does a future look like and who does it include? Is an interregnum possible? My process involves re-imagining, revisiting, collaboration and long-engagement. The portraits are made through conversations and interviews around personal histories, identity and place, visibility and community. Using mostly a view camera (with two sides per film holder), my photographs propose B-sides: queer narratives and obsessions. The images are built. In a culture and economic system where speed and efficiency are valued above all else, I deploy a 4x5 camera so we can be deliberate, breathe together, slow time together. I recast this world to see it re-imagined, with my protagonists, and kinfolk: both inherited and created. Ka-Man Tse (b. Kowloon, Hong Kong) is a photographer, video artist and educator. She received an MFA from Yale University, and a BA from Bard College. She has exhibited her work at the Lianzhou Foto Festival in Guangdong, China; Para Site in Hong Kong, the 2016 Hong Kong Contemporary Film Festival, and Videotage's Both Sides Now III – Final Frontiers in Hong Kong, Taipei, Shanghai, and the United Kingdom. U.S. shows include the Museum of Chinese in America in New York, NY, the Bronx Museum of the Arts; the Palm Springs Art Museum, Cornell University, Capricious Gallery, the Philadelphia Photo Arts Center, and the Eighth Veil in Los Angeles. She has mounted solo shows at Lumenvisum in Hong Kong, the Silver Eye Center for Photography in Pittsburgh, PA and the New York Public Library, Mulberry Street Branch. She was a SPARC Artist-in-Residence through the New York City Department of Cultural Affairs, and completed the Artist in the Marketplace Program through the Bronx Museum of Arts. 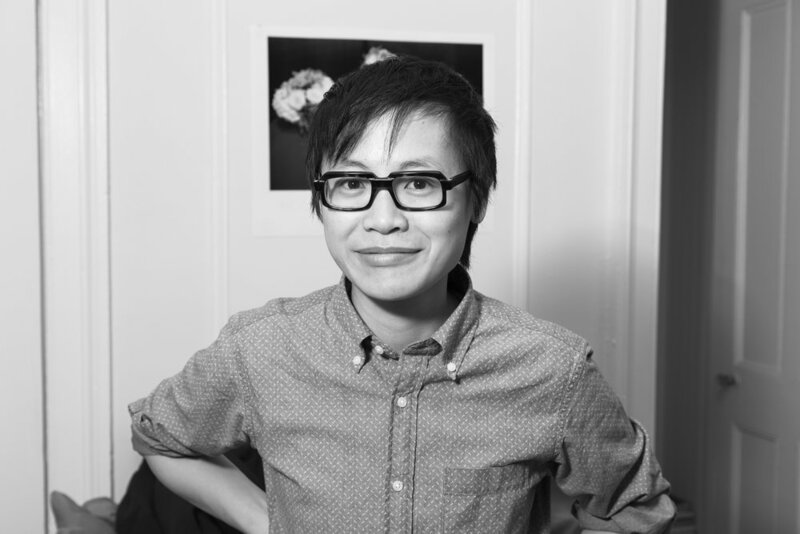 She is the recipient of the 2014-2015 Robert Giard Fellowship, and a 2017-2018 Research Award from Yale University Fund for Lesbian and Gay Studies. Her photographs have appeared in Monocole, Papersafe Magazine, Newspaper, GR-09022017 published by Skreid in Oslo, Norway, The New York Times, The New Yorker, Capricious Magazine, O Magazine, Performa 07: Everywhere and All at Once, Salon, Huffington Post, Slate, Hyphen Magazine, Time Out New York, Time Out Hong Kong, and Ming Pao. Her work is currently on view in the group exhibition Queering Space at Alfred University. This spring her work be included in the forthcoming WMA Masters Exhibition, Transition, in Hong Kong. She is co-curating Daybreak: New Affirmations in Queer Photography at the Leslie-Lohman Museum with Matt Jensen, opening in June 2018. She currently teaches at Yale University and at Parsons School of Design.